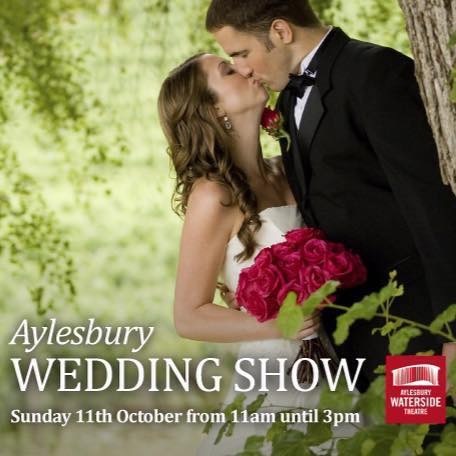 The Aylesbury Wedding show takes place this year at the Waterside Theatre on Sunday 11th October 2015. 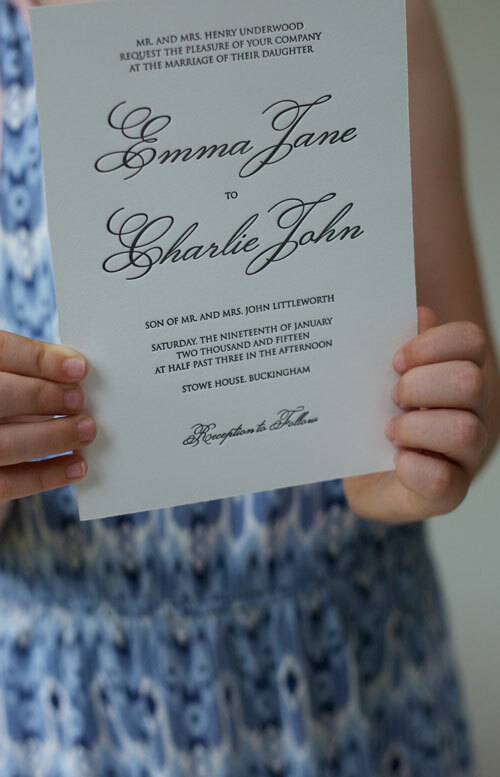 Ellie Press will be displaying a selection of letterpress invitations and wedding accessories such as seating plans and thank you cards. 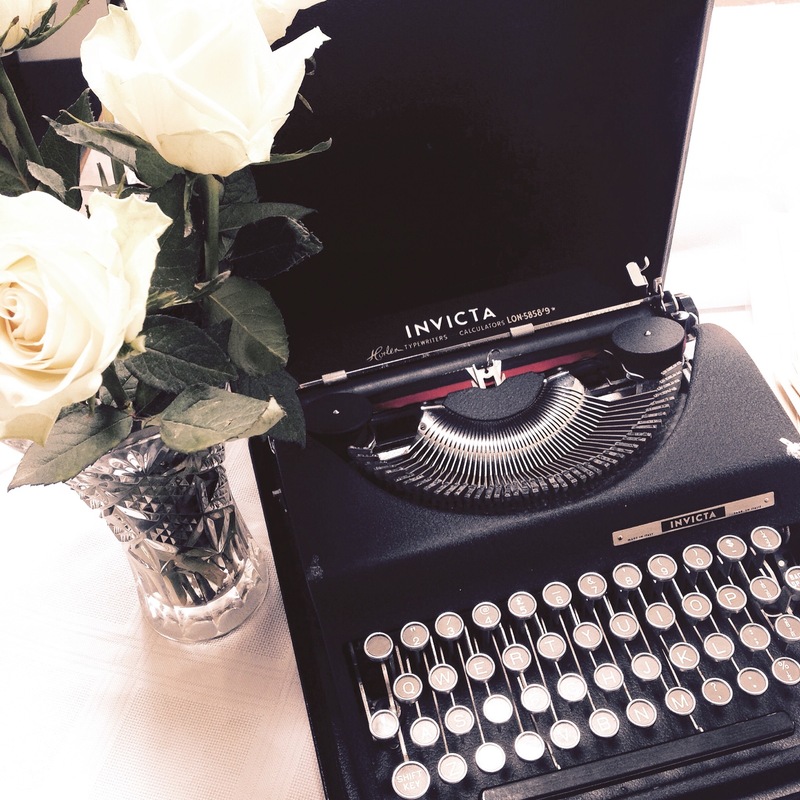 Brides in the bucks area can book a FREE consultation so that we can design around your chosen theme. Schools out…. August is upon us already, now what am I going to do with those kids of mine? 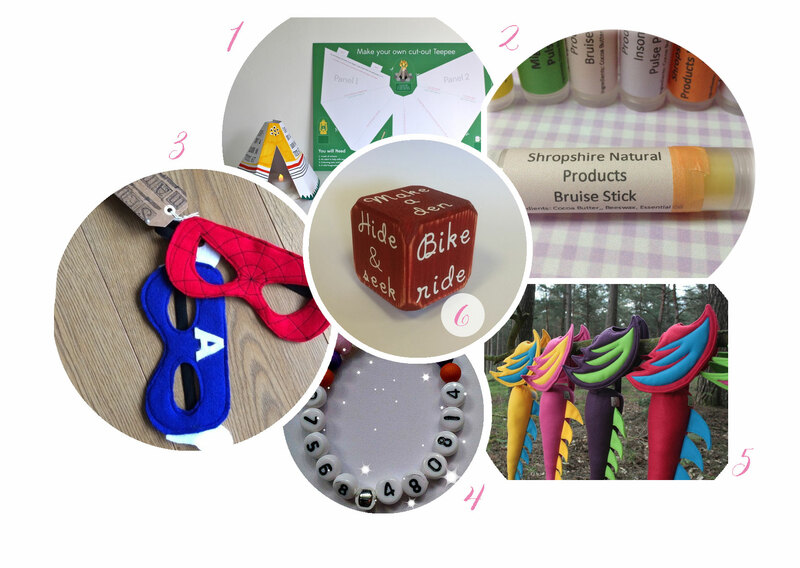 Here’s my Folksy summer six that I have put together to help inspire you over the long long summer (don’t you just love shopping!). What a great idea! My daughter loves crafting so I can see her spending all day outside with this! I have a son…. do I need to say any more? This should be a staple in any mums bag! I think my daughter and son would love running around role playing in one of these! What an inspired idea so you don’t lose your little ones! 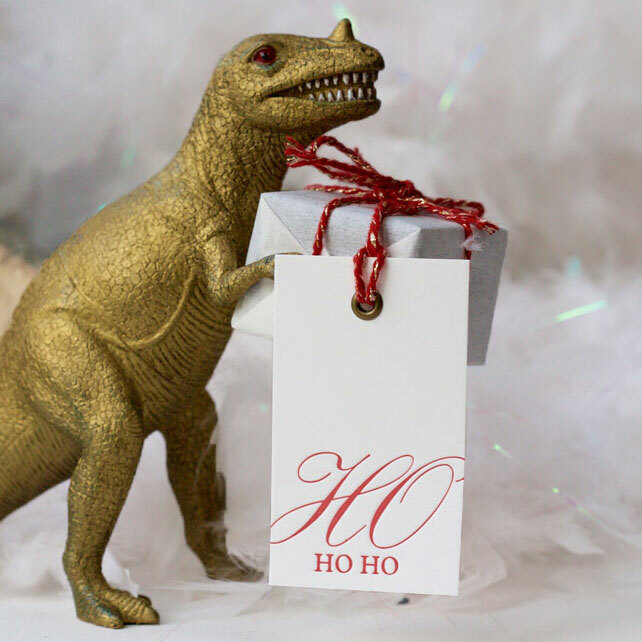 I just love these Tails…..such a fab gift too. A brilliant idea! Maybe they should make one with ‘do the dishes’, ‘tidy your bedroom’……. These little wild rabbit letterpress mini notecards have become very popular on Folksy. 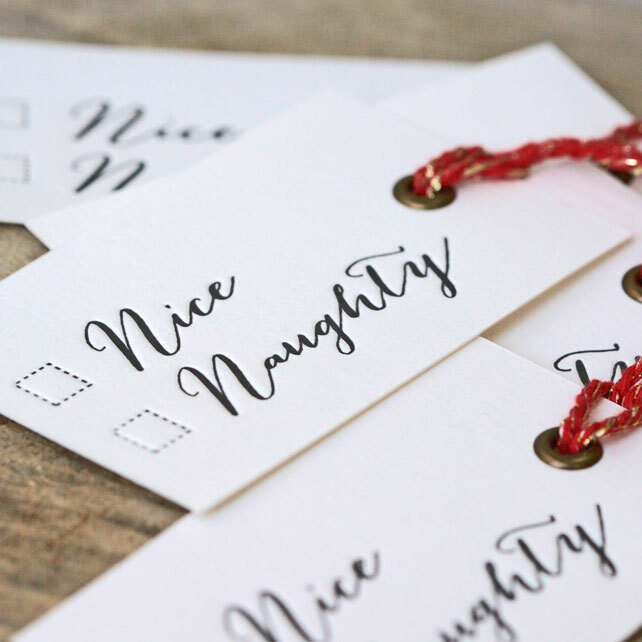 I took a decision when printing these to leave them blank inside so that they can be used for anything. 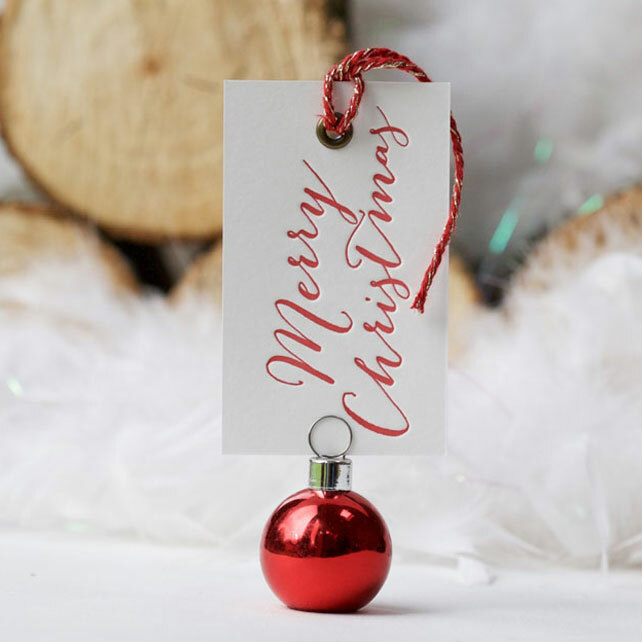 I always find it handy to have a stock of little notes so that I can write a quick thank you or attach as a gift tag to a present. I even scribbled one out for a friend when I needed a birthday card the other day. They are packaged as a set of 6 and are printed onto a luxurious 300gsm card stock using my lovely old vintage platen press. They are A7 in size (74 X 105mm) and come with kraft C7 envelopes. Clarabella has been designed to suit all wedding styles. Mix and match cardstock choices to customise this suite to fit in with your own theme. Shown here printed on a luxurious 300gsm cotton (tree free) card. Font colours can be matched to wedding colours too. Clarabella’s design is both timeless and elegant – a real must for any future bride. Why bother learning to sew? It’s just not letterpress! I am into my … ahem later years now… so why have I decided to take up sewing? Why aren’t I using every conceivable hour of my time devoted to printing? I can buy a top for less than £5 in the shops, I even bought my daughter a dress for £2.99 the other day and a new cushion for £4! With some of the really nice cotton fabrics now costing at least £7 per meter why bother. It’s just not economical…..so why have I … got the itch? It started when my friend introduced me to the plainstitch workroom in wendover. I was immediantly welcomed but felt very overwhelmed. What are notions? french seams? How are these amazing ladies making such gorgeous quilts and bags? and then my heart stopped…I mean I am a stationery freak but fabric??? all of those amazing colours and patterns stacked up and organised …I’m sure my heart skipped a beat. I LOVE FABRIC! So….I figured…how hard can it be….mmmm you can read about my initial attempts at sewing here and if you are new to sewing like me it includes my suggestions on how to get going. 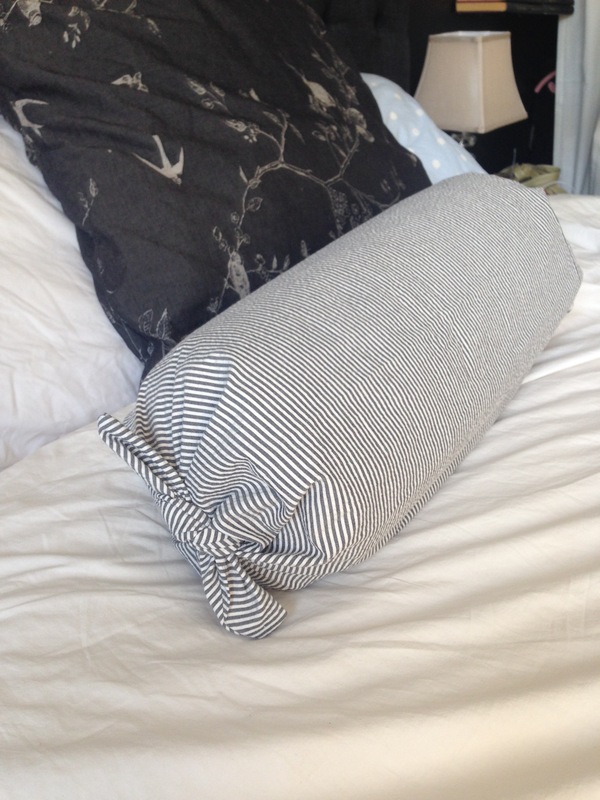 I eventually made my first item, a pillowcase. 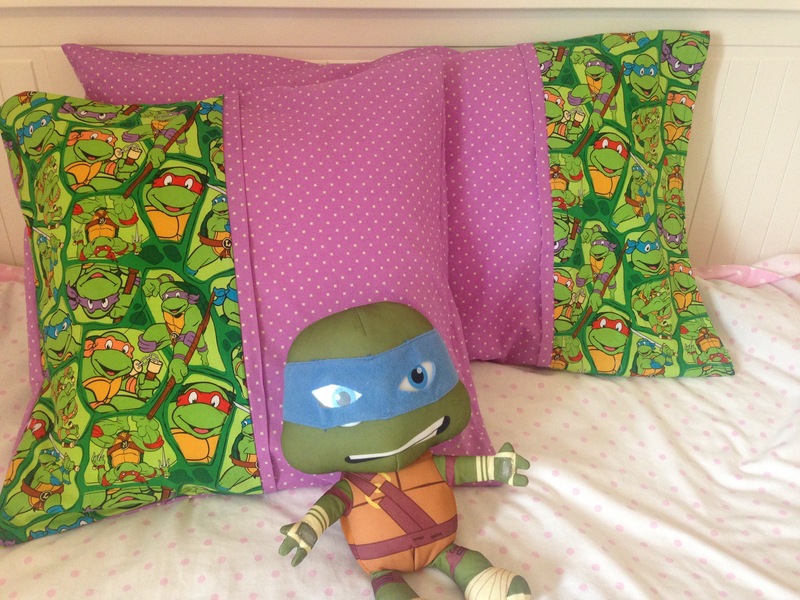 My daughter now has a ‘unique’ girls ninja turtle pillow and cushion (read about my girls ninja turtle bedroom makeover next!). I was so proud of myself that I wanted to do more. 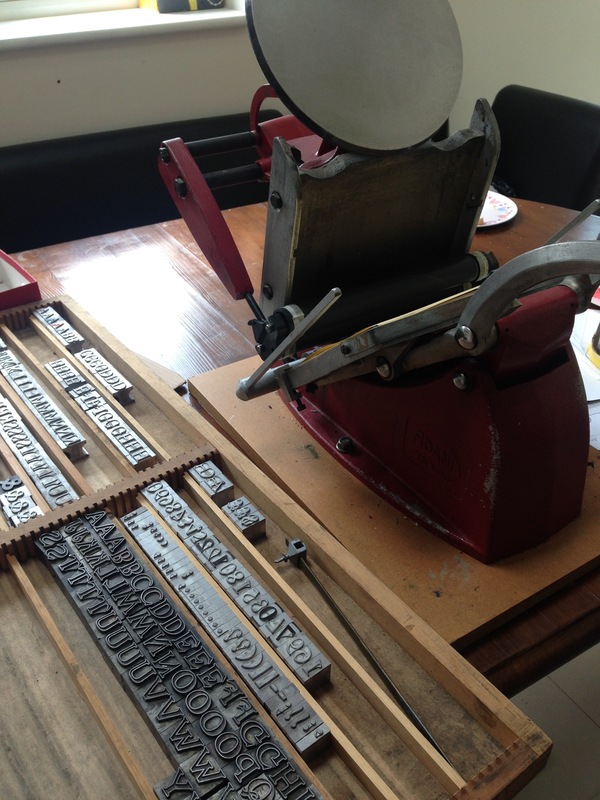 It has the same sense of satisfaction you get by producing a piece of letterpress stationery. It’s unique, no-one else has exactly the same item. There is the overwhelming sense of accomplishment, quickly followed by a thirst to make something else. And of course the social aspect, meeting new people and ‘drooling’ together over the latest Heather Ross fabric. I still have fond memories of learning to sew with my mother, who I still run to for help and advice. I like the idea of doing the same with my daughter too. So why bother indeed! I now have a gorgeous merchant and mills bolster cushion in my bedroom, I have finally got around to adjusting the curtains in my sons bedroom (4 years on! ), but even more importantly I am booked onto a sewing retreat day. 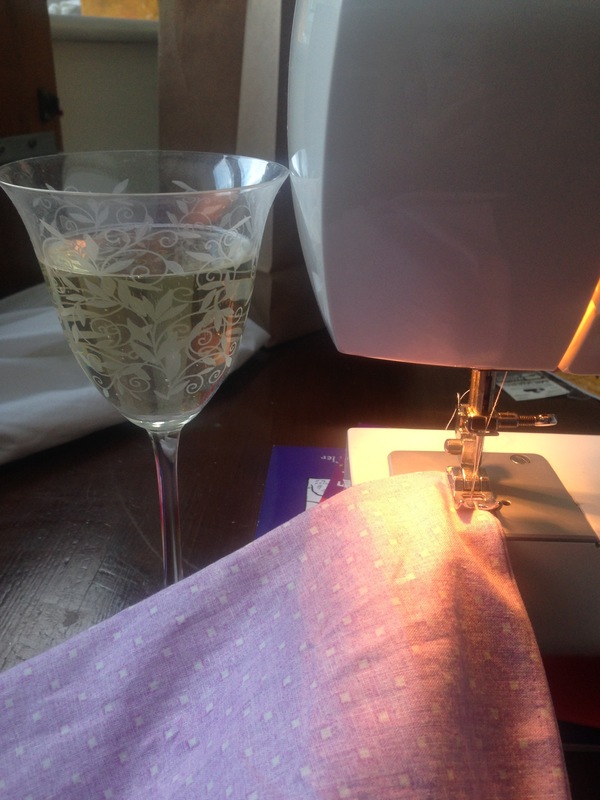 A full day of sewing and socialising (with hopefully a glass or two of pimms thrown in!)…..bliss! Have I sold it to you? My sister bought me a gorgeous merchant and mills bolster cushion pattern and it sat in the cupboard for over a year. After talking to a friend who was sewing all sorts of things that really appealed to the creative side of my brain…I went home and mustered up the courage to get it out (I mean how hard could it be???). I opened the kit and pinned the fabric to the pattern (so far so good! )…mmm what’s a tailors tack? So here’s the great thing about the internet! 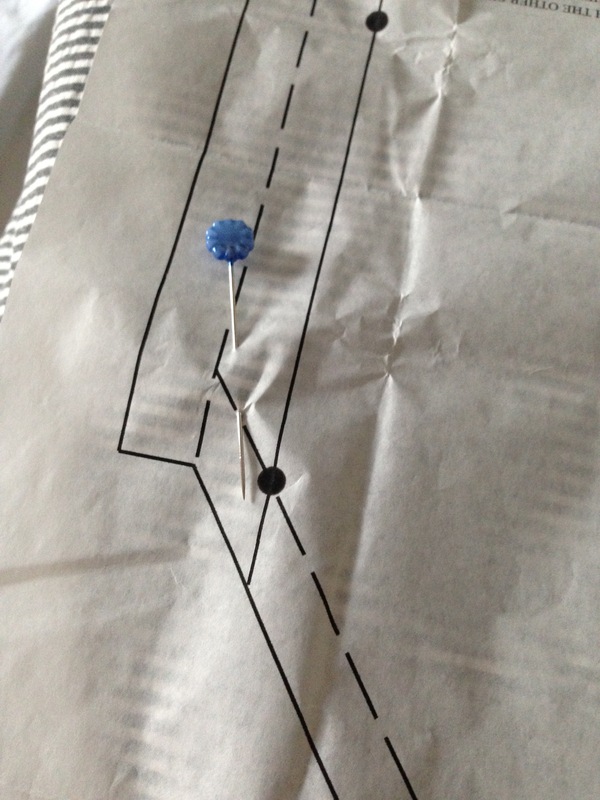 I googled tailors tacks and watched a u-tube video on how to tack. At this point I was feeling rather proud of myself and grabbed the sewing machine…. I was amazed how much came back to me. I must have spent more time sewing with my mother than i remember, but I knew how to thread the cotton through the various hoops and holes…up and down, around things and even remembered how to get the bobbin thread up to the top. Phew! And then things started to go wrong. 2 hours later, a broken needle and lots of stitches that weren’t appearing on the fabric…i nearly chucked the machine out of the window. Time for a glass of wine. I went back to the machine instructions …. mmm yes nothing there. Googled ‘sewing issues’ and found a flood of things that could be the problem (tension, bobbin threaded incorrectly…..) so on a hunch I pulled out the bobbin spool and put it back in. 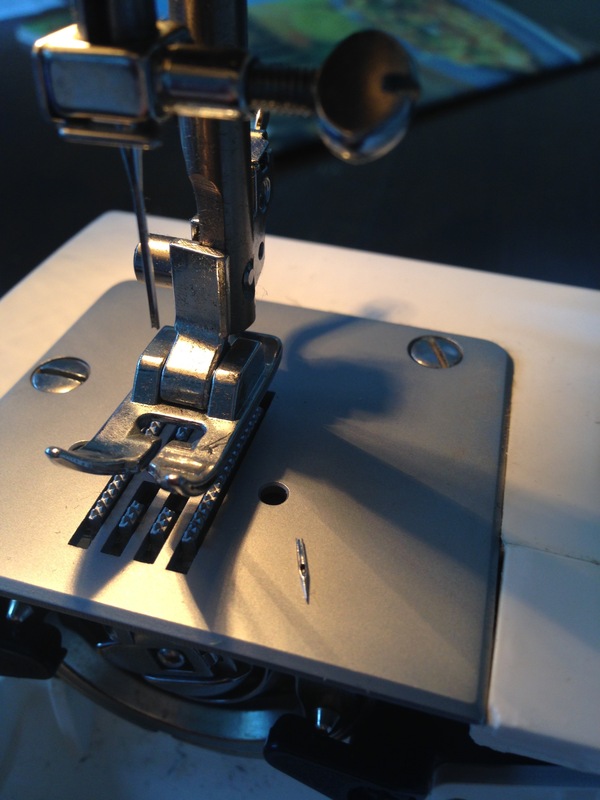 Problem averted…I could now sew!!! After sewing 2 small straight lines of my bolster I realised I needed to sew in a zip…scary! so at this point I figured I should try something a bit easier first. The general consensus from those with a lot more experience than me was to start with a pillowcase. There are some great tutorials out there on the web but I wish I had sat down with someone or joined a class to get going. The plainstitch worksroom offers a ‘get to know your sewing machine course which would have been very sensible. So what did I do? 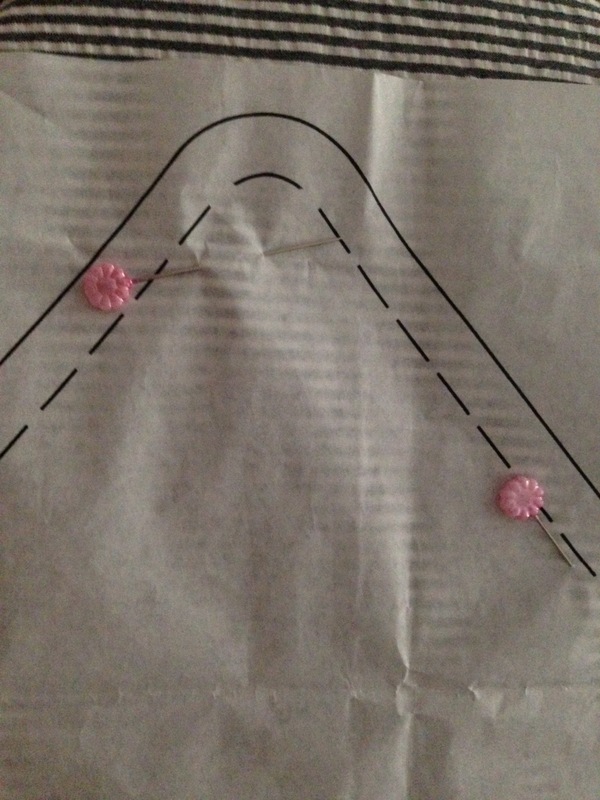 I signed up for the ‘free motion embroidery class’…. I think I like causing chaos! My little Adana 8X5 (Ellie) has been visiting our local village school every Friday since Easter. 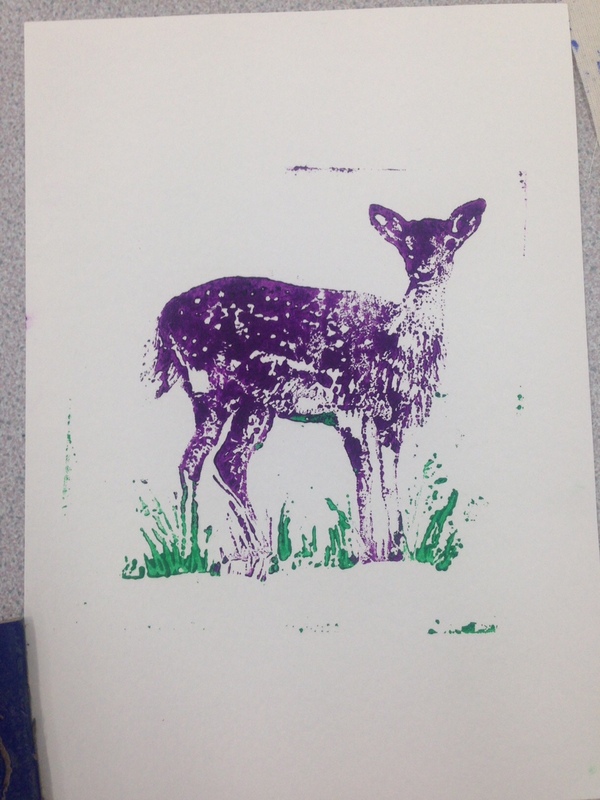 On the Friday afternoon we have been running printing workshops with the year 6 children and they have been absolutely loving it! 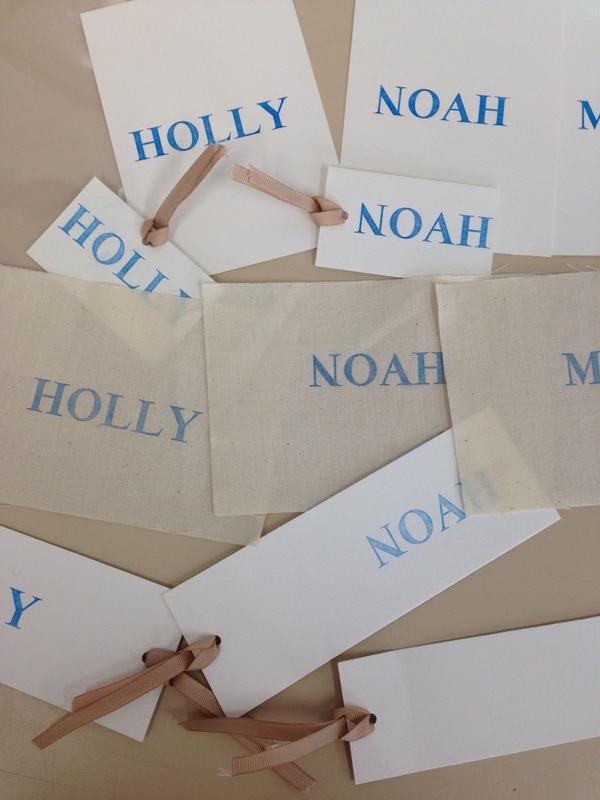 They have been using my larger font type, (72pt times or windsor 60pt), to make bookmarks with their names on. I also showed them some 12pt type to see if they could figure out the difference between a ‘p’ and a ‘q’! I love the questions they ask and how it made them really think about the time invested by printers before the ‘digital’ age. 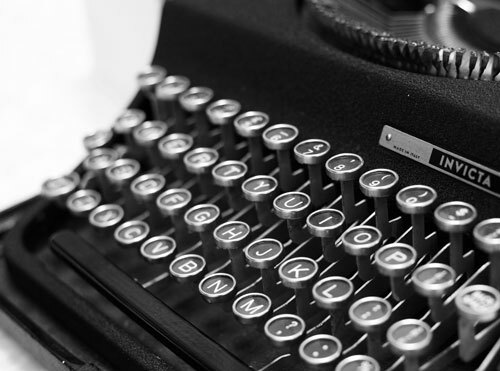 Can you imagine printing a newspaper by hand? 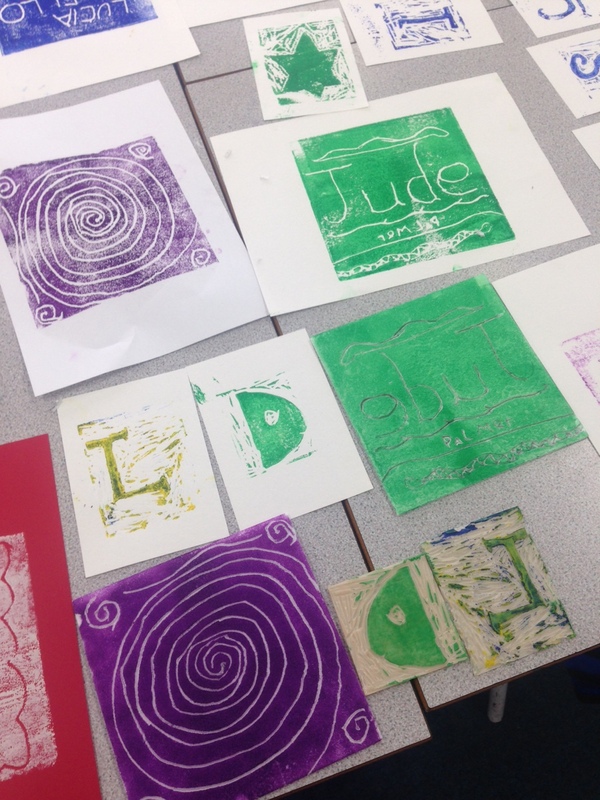 We were also brave enough to try some lino printing, although after several (deliberate) cutting incidents we bought in our own lino carvings for them to print from. Scoring polystyrene with a pencil also proved to be really successful (and safer!). Having to think about reversing images for printing really needs concentration and they did a fantastic job didn’t they?